Yay! Glad the recipe worked out for you. Your cake looks delicious! Oh oh oh oh this looks just luscious…. This looks beautiful and wonderful and well…can’t help myself after our conversation the other day; pretty happy it does NOT contain tofu..whew! ok, who in the Fuji household do I need to speak with about your moving closer to the Westside so I can come over EVERY DAY for dinner???? hmmm???? this looks amazing. absolutely beautiful! That cake looks so spongy and elegant!!!!! @jenjenk, Oh boy, I’m not getting in the middle of this one!! I love this kind of cake, and this one looks fantastic! We offered to make my son one of these for his birthday recently (turning 10, he’s too old now for my fancy-smancy “character” cakes…sniff, sniff), but he said no, because “that’s only for Christmas” (we live in Australia, but are bicultural Japanese-Australian). @Clare Maree, LOL, I love it when kids start asserting their opinions! By the way, what is “cake flour” and how does it differ from regular plain flour? Is it like our self-raising flour, which has the baking powder pre-added? @Clare Maree, The main difference between regular plain flour (all-purpose flour) is in the protein content. All-purpose flour has 9-12% protein, whereas cake flour only contains 5-8% protein. 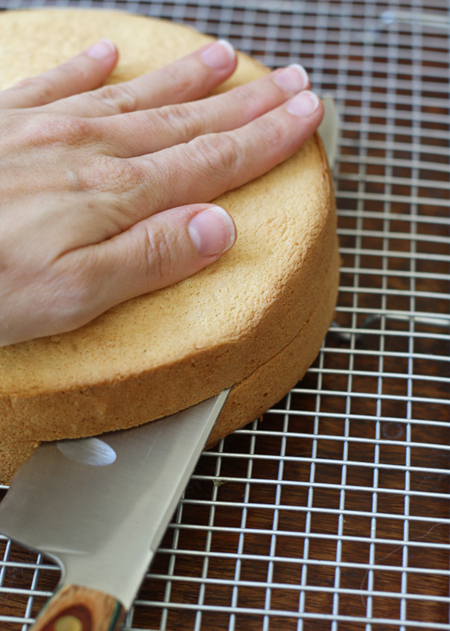 Less protein means a softer flour, which helps make a more tender cake. According to Baking 911 (http://www.baking911.com/pantry/flour,grains.htm), a sometimes-reliable substitution for 1 cup of cake flour is 1 cup all-purpose flour (preferably bleached) minus 2 tablespoons, and then add in 2 tablespoons cornstarch and sift them together several times. This looks amazing! I am going to make it for my mother-in-law’s birthday this weekend. I have been looking for an idea. Thanks for helping me decide. You make every dessert look amazingly easy and fabulously delicious! Looks wonderful but what dessert doesn’t? Hi, I’m just wondering, if I’m using a fan-forced electric oven, do I still use the same temperature or should I lower it? I know sometimes when baking, a fan forced oven temperature is about 20 degrees lower, but I’m not sure, and want to make it this weekend for some Japanese friends of ours. 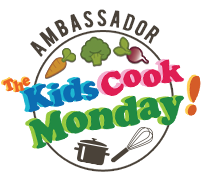 @Kelly Azuma, I have no experience with fan-forced electric ovens! But from what I found looking online, it looks like you are supposed to reduce the temperature anywhere from 10 to 20 degrees, like you mentioned, and that it may take more time. If you usually reduce the heat by 20 degrees for recipes, I guess I would go with that. As far as cooking time, you will know when it’s done by how it looks (a light golden brown) and by gently touching it (it will spring back if it is done). I hope that helps!! This is one beautiful strawberry shortcake! PS. 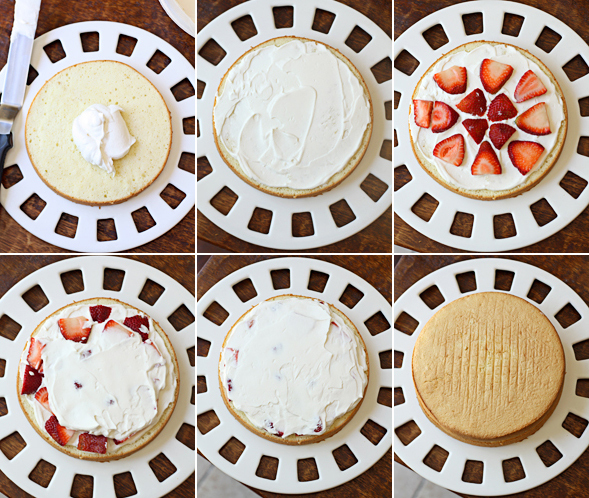 Love the US version of shortcake too! @the lacquer spoon, I didn’t know that about the first shortcake!!! That makes me smile. I LOVE that it was Fuji-ya!! Your cake looks spectacular. I love the strawberries and whipped cream combination. Very yummy! 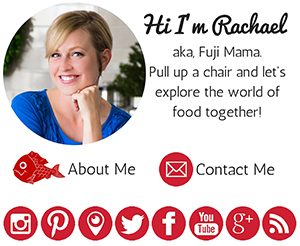 Hi, Rachael! What a perfect dessert for the summer! Love your six-photo assembly collage. Beautiful post. I have some strawberries in the fridge right now and I’ll run to the store tomorrow for some Personal Energy in order to make this (although it doesn’t look too hard). Lovely post, lovely cake! @Elizabeth E., Thank you Elizabeth! Can’t wait to hear what you think! That cake looks so beautiful. I must bookmark this sponge cake. I bet it is soft and spongy. Koreans have a cake similar to this, which they call Saeng Cake, which means “fresh cake” referring to the fact that it uses fresh whipped cream frosting. 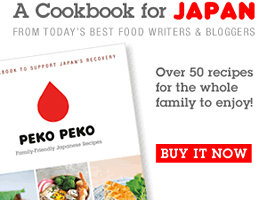 Just leave it to the Japanese and Koreans to take our recipes and make them 100% yummier (and somewhat healthier, too). This looks delicious ! I’m always looking for a good shortcake recipe and this looks wonderful. Going to have this a try with the beautiful strawberries that we have right now. @Sharlene (Wheels and Lollipops), Yay! Let me know how it goes! i love that you’ve found a way to make whipped cream way less messy! after covering my entire coat in whipped cream while bringing a black forest cake to my best friend, i’ve avoided cream in cakes, now i can go back to eat! 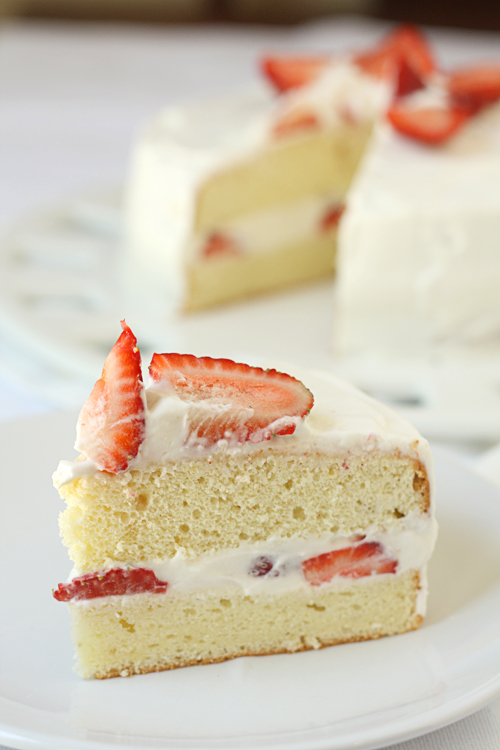 plus any cake with strawberries has to be good! delicious! How lovely! I’m from the South and I’ll never look at strawberry shortcake the same way again. This reminds me of the birthday cakes my mother used to make for me as a kid – golden cake filled with berries and whipped cream. Delicious! I was interested to read about stabilized cream. I use cream that has not been ultra pasteurized when I make desserts and haven’t had a problem with weeping. Perhaps it’s just being so close to Vermont cows that makes the difference? @Carol Egbert, Interesting! I’m not sure! It’s actually really hard to find cream here that isn’t ultra pasteurized, so I can’t say that I have ever used it to make whipped cream! I’m SURE that the awesome Vermont cows do make a difference though. 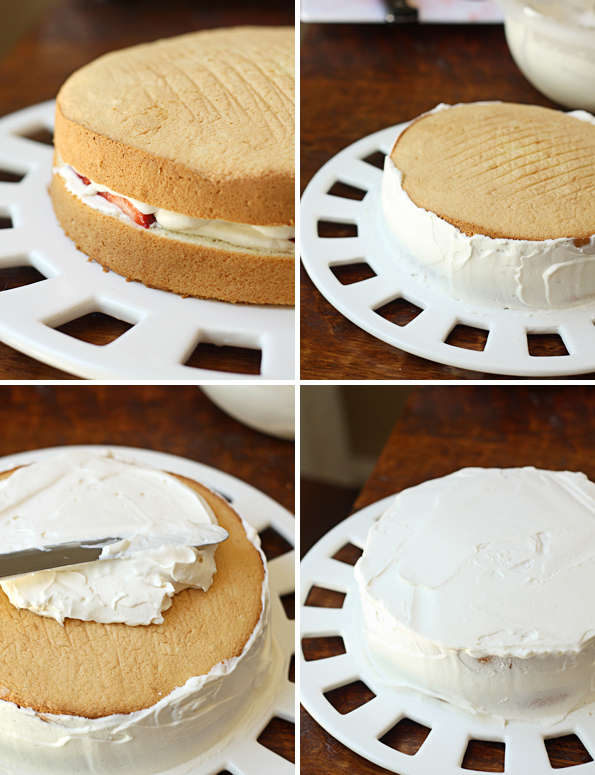 :) Another benefit to using the stabilized whipped cream method is that it changes the texture of the whipped cream a bit–it is more pillowy and sturdy, making it more like a regular frosting. Thank you, thank you, a 1000s thank yous. I love, love this cake and I have been on the hunt for a good recipe. I have always loved japanese pastries and I can’t seem to find good recipes. 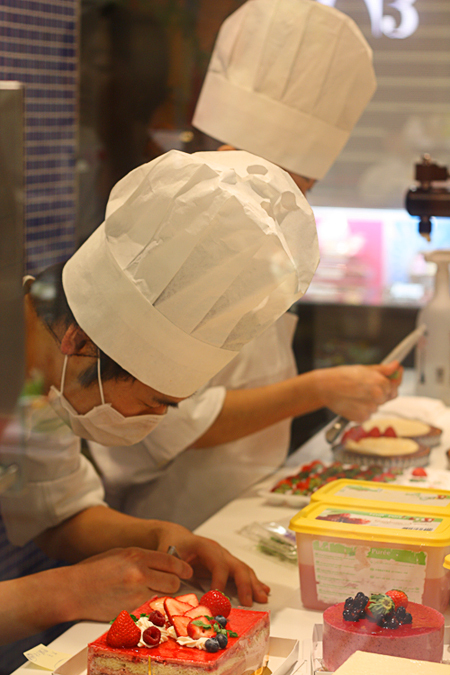 Japanese strawberry shortcake is the best! I had it at my friend’s wedding and it was so good! I’m going to try this for sure. The sponge cake can melt in my mouth…hmm..YUM. Quick question, can I use pastry flour instead of cake flour? This looks adorable! If a recipe is from a mom, it’s impossible to end up with a bad result. I always trust moms. And you make the recipe real. Fantastic! This is my ALL-TIME favorite dessert ever since I was a kid living in Japan (Air Force brat here)…been looking for a recipe for ages. Thank you for posting one…it’s now on my must-make list for this weekend. Oishii so! Arigato! Their cakes are in a league of their own ♥ Yours looks absolutely gorgeous! So beautiful! Your cake is absolutely stunning! 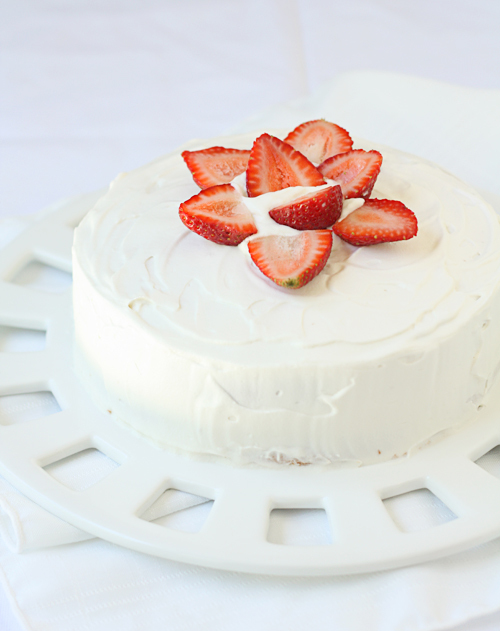 Was thinking of what type of strawberry whipped cream cake to make for my son’s birthday…wishing that I had a recipe for a Japanese style cake…and then I read your blog! So grateful and excited! Will try it tomorrow! I went to sleep thinking about making this cake. When I woke up, I started getting to work. I ate a slice after dinner and I was jumping up and down! My husband and children will testify to this. This cake is what I was looking for!! I have tried many other recipes but this is the best Japanese-style, strawberry, whipped cream cake recipe!!! It is similar to the one at our local Japanese bakery! Thank you so much! Please post more of these Japanese cake and bread recipes!! Oh, I forgot! I am making it again for a church birthday celebration tomorrow! So summery and absolutely divine! Domo arigatou gozaimasu! I looove Japanese sponge cake, the texture is amazing, very light and less sweet than the average cake recipe ! Thank you so much for sharing your friend Noriko’s recipe ! Loved the pictures of your cake, it reminds me of the first Jaanese sponge cake I’ve tried and also the great time I had with friends on that day ! I’m buying some strawberries today !!! Thank you again ! @Eliane, Dō itashimashite! Please let me know if you make it, and thank you for the wonderful (and fun!) request! I made the cake yesterday and it was absolutely delicious ! Very light, fluffy, not so sweet ! I took it to a church gathering and everyone loved it ! Thanks again for the recipe ! I so wished I had seen this yesterday before I pureed a rediculous amount of strawberries to make Jam that I won’t even eat. arghhhh. This looks great. Since it will have to be refrigerated, how far in advance do you think this can be made prior to serving? 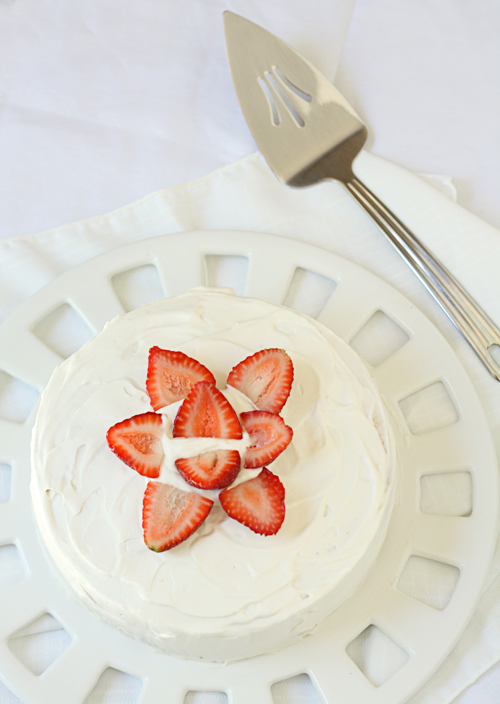 What a light and wonderful cake for summer! What a gorgeous strawberry cake! I love it! 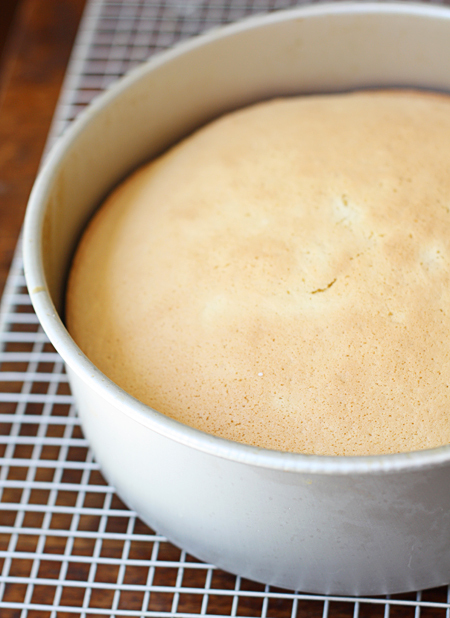 I have been looking for a Japanese style sponge cake recipe. My hubs is addicted to the Japanese cream roll cakes. He asked me to make one of my own but I had no idea where to start. Thanks for this! I am going to start experimenting! You finished cake looks amazing! This strawberry shortcake is absolutely beautiful! What a pretty, light cake. Great tips on the stabilized whipped cream. Absolutely delightful! I would love to make this for an afternoon tea party or birthday celebration. YUM.